Tactica develops an interactive digital media Facebook app for the Million Dollar Neighbourhood television series that delivers brand engagement by allowing the audience to play along with the television show’s participants and builds a new audience through social media integration. The Oprah Winfrey Network was looking for a creative way to engage their home audience to participate with the television series’ brand online. Force Four Entertainment needed Tactica to help develop the interactive digital media strategy, find financing, pitch it to City television and the funders (CMF & Bell), and ultimately produce and maintain the digital media component. 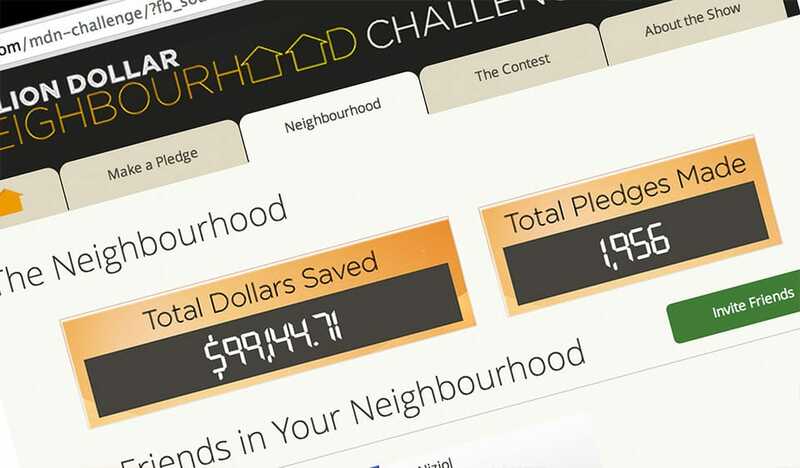 The Million Dollar Neighbourhood Home Challenge Facebook App gives audience members the chance to increase their actual net worth by forming virtual neighbourhoods based on their existing Facebook communities, and by pledging to take part in at-home versions of the Million Dollar Neighbourhood weekly savings and earnings challenges. Taking pledges and completing challenges makes them a leader in their virtual neighbourhood and qualifies them to win randomly drawn prizes. 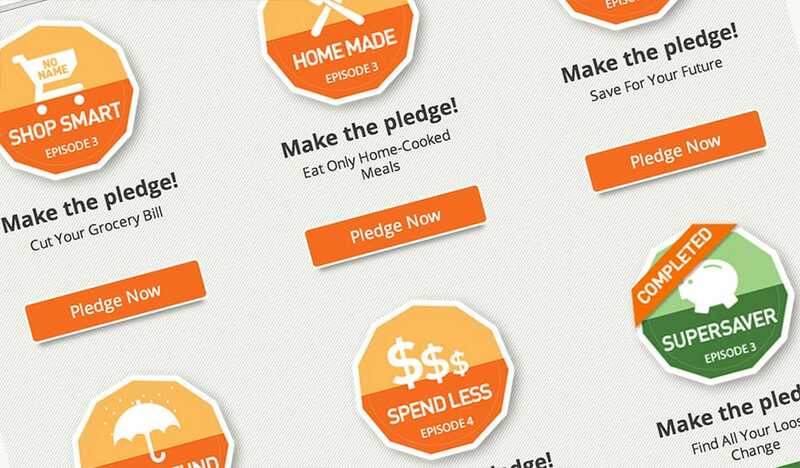 Each pledge is tied to episode themes ranging from cutting back on food costs, transportation costs and discretionary spending, to opening an RRSP and finding ways to increase incomes. Their participation ranks them as a leader within their neighbourhood and qualifies them for random prize draws. The app delivers financial advice from a unique source: a future version of yourself! Tactica’s face-morphing software ages a photograph of the Home Challenger by 30 years. 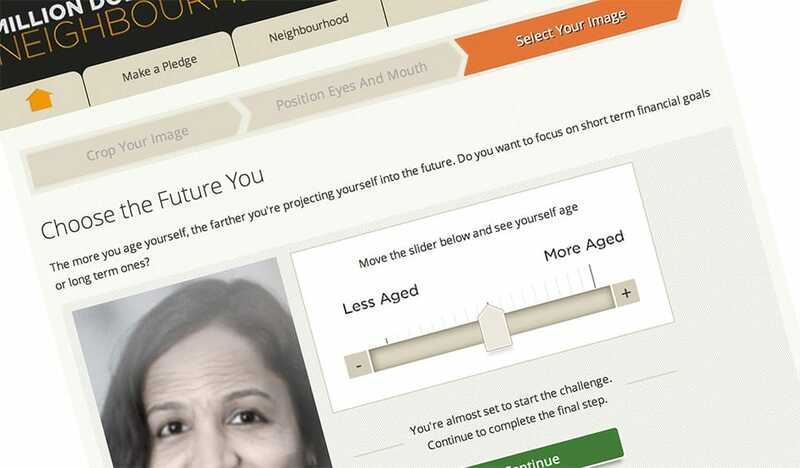 This ‘older, wiser’ FutureYou version keeps them motivated, helps them set simple and attainable goals, and provides them with action plans and tips to increase their net worth. “Young people who saw their elderly avatars reported they would save twice as much as those who didn’t. In another, students averaging 21 years of age viewed avatars of themselves that smiled when they saved more and frowned when they saved less. Those whose avatars were morphed to retirement age said they would save 30% more than those whose avatars weren’t aged.” – Zweig, J. (2011, March 26). Meet ‘Future You’ New Virtual Reality Techniques Could Help Solve the Age-Old Problem of Saving for Retirement. The Wall Street Journal. This feature also lets people visualize how their present-day actions will change their future – because their FutureYou will change based on what they do. The app also provides opportunities for sponsor participation and brand integration through rewards, prizing, banner advertising and other means. Ultimately, the app blends entertainment with adult education to motivate, inspire and empower at-home viewers to transform their home finances and their lives. delivered a uniquely interactive and remarkable audience experience. Named after talk-show presenter Oprah Winfrey, OWN is an American general entertainment television channel produced by Harpo Productions and Discovery Communications. It debuted in the United States on January 1, 2011, in approximately 80 million homes. The programming includes a mix of original programs, strips, specials, documentaries and acquired movies. Owned by Corus Entertainment OWN: Oprah Winfrey Network (Canada) gives viewers access to a stellar lineup of original series and specials that focus on entertaining, informing and inspiring viewers to live their best lives.